I could not stop at The Great Gatsby. So while at the staff picks in Barnes & Noble, I gravitated toward the classics. The Picture of Dorian Gray sounded familiar, but the cover was so downtroddeningly brown. What a shame. Do I really want to spend 229 pages of my time wading through brown? On society: It is silly of you, for there is only one thing in the world worse than being talked about, and that is not being talked about. On beauty: But beauty, real beauty, ends where an intellectual expression begins. Intellect is in itself a mode of exaggeration, and destroys the harmony of any face. The moment one sits down to think, one becomes all nose, or all forehead, or something horrid. 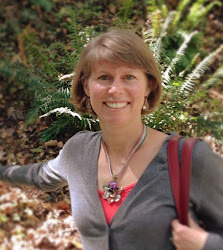 On talking too much: I have grown to love secrecy. It seems to be the one thing that can make modern life mysterious or marvelous to us. The commonest thing is delightful if one only hides it. When I leave town now, I never tell my people where I am going. If I did, I would lose all my pleasure. On people: I choose my friends for their good looks, my acquaintances for their good characters, and my enemies for their good intellects. On lightening up: Humanity takes itself too seriously. It is the world’s original sin. If the caveman had known how to laugh, History would have been different. On the moment: Ah! I have talked quite enough for today. All I want now is to look at life. You may come with me if you care to. On Art: We can forgive a man for making a useful thing as long as he does not admire it. The only excuse for making a useless thing is that one admires it intensely. All art is quite useless. 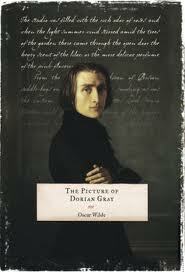 Besides the philosophical gravity, the actual story of Dorian Gray is a hoot to read. It’s dramatic, compelling, and describes timeless vices of humanity that are applicable to modern times despite the historic setting. I came away from the book with a strange sense of freedom. What Oscar, or is it Lord Henry, conveyed to me is that there exists a plane of pleasure, not to be scrutinized, but admired and enjoyed. Dorian let it get the best of him and swung the pendulum a bit too far. But there are elements we could implement in our own lives that would result in a happier ending. Delight. Appreciate moments. Laugh out loud. Admire. But don’t trip over your own vanity. It could result in a rather unbecoming ending.